New Fishing Degree was approved last week. In the beginning of year 2016 the new Fishing Act and the Fishing Degree will be the guidelines in Finnish fisheries. In the new Degree for instance new minimum sizes of fish and closed seasons are determined. There will be some changes in the present rules. 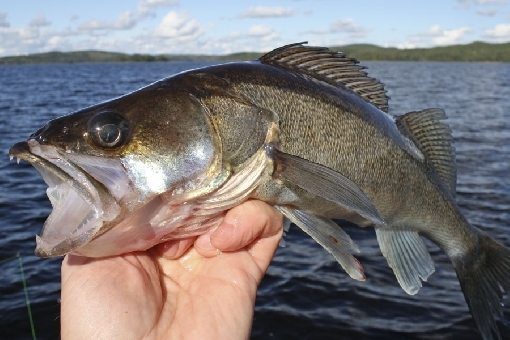 New minimum size for zander will be 42 cm (1.1.2016−). There will be 5 cm raise for the present statutory minimum size (37 cm). Brown trout and sea trout will be totally protected in the Southern and Central Finland – in all inland waters south from 64º north latitude. Sea trout will be also totally protected in the Gulf of Finland. Minimum size 60 cm: in the Archipelago Sea and Gulf of Bothnia and in inland waters between 64º and 67º north latitude. Minimum size 50 cm: in inland waters north from 67º north latitude. Adipose fin-clipped trout in all waters (lakes, rivers and coast). New closed season for trout and salmon fishing in the rivers will be 1.9−30.11. In the new Fishing Degree there are also other specifications, such as minimum sizes for salmon, landlocked salmon, arctic char and grayling. Size limits vary depending on the area. For instance landlocked salmon − individuals with adipose fin − are totally protected in Vuoksi ja River Hiitolanjoki water areas. New general size limits, closed seasons and other rules will be updated at www.fishinginfinland.fi in the near future. There may be also some local rules about size limits and closed seasons for instance in the border rivers and some other water bodies. Anglers must find out and obey the rules and exceptions of the waters they are fishing. Photo: "New statutory size limit for zander is 42 cm." Photo: Ismo Kolari.